An Interactive, animatronic, kinetic sculpture. Inspired by the renaissance tradition of portraits who’s eyes are said to follow you around the room. The persistent “Ubiquitous Gaze’ has long been the fascination of artists who have sought to deepen a sense of interaction between their subject and their audience. The pursuing Eye of MONA is part of a generation of art that looks back at you. The horse responds interactively to human presence with a suite of movements and behaviors which are proportionate to audience proximity and motion. 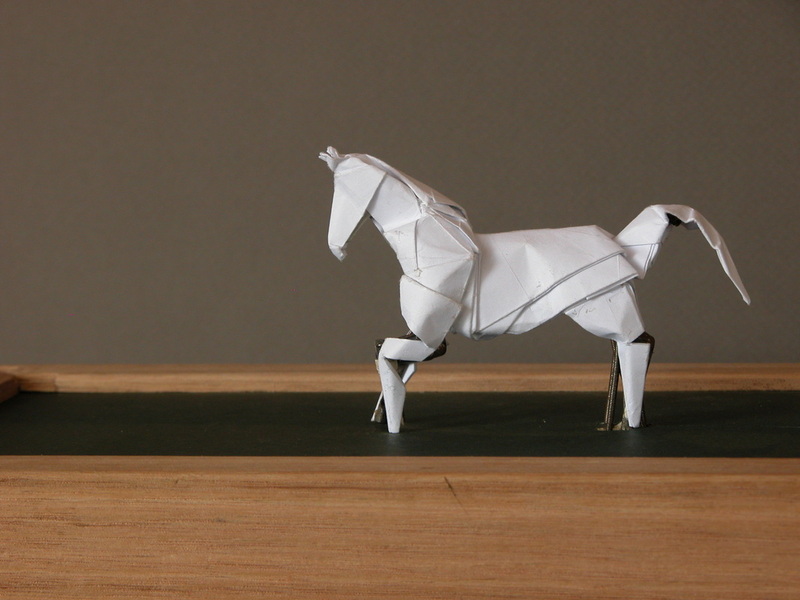 The moment paper is folded it transforms from a two dimensional medium into a sculpture. 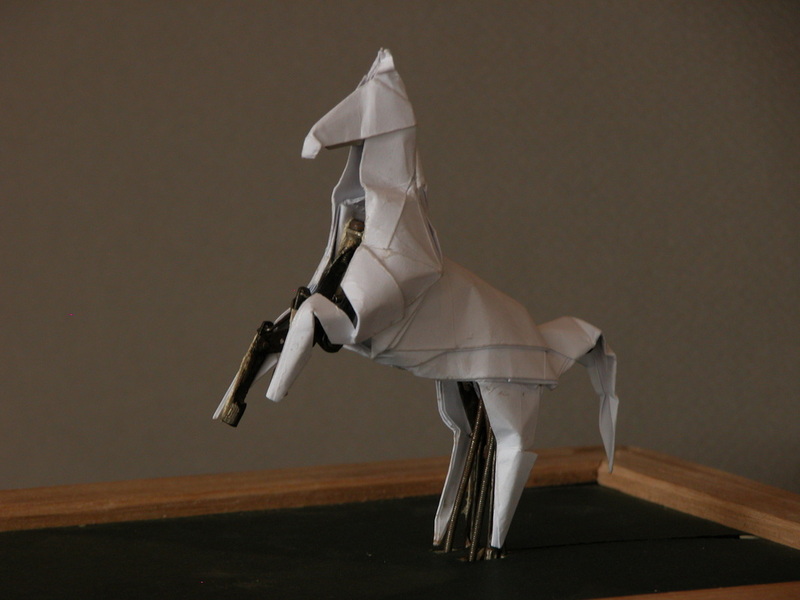 Rearing Horse is the study of living form in the medium of paper as it makes a journey into a three dimensional object and further into a fourth dimension, through motion and human interaction. Autogami: The examination of natural form and movement through an interactive combination of paper folding and kinetic automata.